Meet the JRZ Homes team! Jesse is a firm believer of keeping it local and supporting the local community. At JRZ Homes we employee dozens of local trades, that we know we can trust to work on all our new builds. We also offer work experience to young locals interested in working in the construction industry. He is also very proud that his company donates $250.00 to a local charity of the Client’s choice for every contract signed, recently topping $30,000 in local donations. Jesse was voted in by his peers around the state as a committee member of the Master Builders Housing Sector Committee which meets once a month in Brisbane to discuss all issues relating to the Building Industry. He meets and listens to all Builders with-in the region to help better the industry for all involved and is very passionate about doing so. Licenced Builder and Director of JRZ Constructions PTY LTD T/A JRZ Homes. 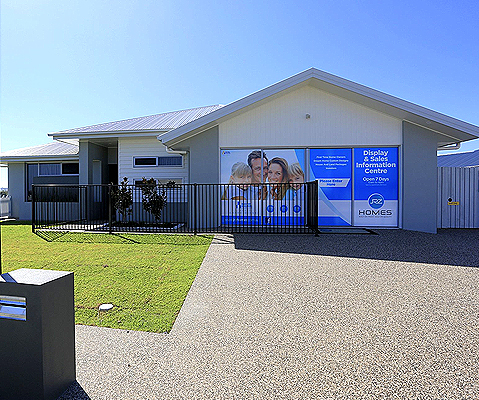 Jesse began his career of building quality homes here in Bundaberg back in 2008. Since then he has gone from strength to strength, and today with Jesse at the helm JRZ Homes has grown to be Bundaberg’s Largest Residential Local Building Company. He prides himself on being Open, Honest and as Informative as possible along the way with the aim of providing you with a Quality Dream Home you will tell your Friends and Family about. Jesse has surrounded himself with the best Staff, Suppliers, and Sub-Contractors in the business to ensure you our Valued Client experience a stress free build working closely with our experienced Team of Professionals. Jesse was recently awarded the ‘Rising Star Award’ in the 2016 Master Builders Regional Awards which is awarded to a candidate who shows quality workmanship, is involved in the community, shows leadership, is a team player and knowledgeable in the building industry. JRZ Homes is in good hands with Mel supervising the ever growing business. Mel is University trained and qualified to ensure all is running smoothly behind the scenes in the Accounts Department and within the Human Resources Department. Mel also ensures that she works closely with each client along the way to guide them in their selection processes to ensure a seamless build. Mel also works closely with our employees and contractors to ensure our WHS policies procedures are adhered. Mel was recently awarded the “Women in Building Award” in the 2016 Master Builders Regional Awards, which is awarded to a candidate who shows leadership, is a team player, excels in project documentation and customer service and is knowledgeable in the building industry, a very worthy winner. Mel continues to get great satisfaction out of every handover and she too aims to ensure you finish up with a home you will treasure and tell your friends and family about. David Cohen is our very experienced Sales Manager / Building Consultant. David has had over 16 years of House Sales / Building Consultant experience in both Brisbane and Bundaberg boasting over $170,000,000 in Home Sales. David has enjoyed his move here from Brisbane over 10 years ago and continues to excel in making our Clients Dreams into Reality. Building your Dream Home is an exciting time. David truly is a market leader and prides himself on assisting you achieve “Value For Money, a “Building Experience To Remember”, and you finish up with a “Home You Will Treasure” for many years to come. Jason began his trade as a carpenter back in 2004, working alongside with Jesse from the beginning, in their apprenticeships. He first joined the team as our Estimator and assisted with JRZ Sales Team to ensure our clients’ needs were met in a timely manner, delivering quotes to clients. Jason has now evolved in the business and has gone from being Jesse’s left arm to his right. He has now taken on the role of Project Manager. His versatile experience and extensive knowledge of the business as a whole, has helped him fulfil his role. He brings all those years of hands on experience on the tools at job sites. Chris McKenzie has worked within the JRZ Homes team in various roles. From labouring, to completing his carpentry apprenticeship, his hard work has seen him now fulfilling the role of Estimator. Chris enjoys the challenge of learning all there is to know in the construction industry, outside the role of a carpenter and excels while doing so. Chris brings a great outlook to the team and is very clever when it comes to calculating mathematical equations, given his previous roles in accounting and administration experience. Cathy has extensive knowledge in the bookkeeping world and is a massive asset to the JRZ Team. Cathy takes care of all of the day to day accounts ensuring all of our Sub-contractors and Suppliers are paid on time, every time. Cathy knows the JRZ office back to front and assists the whole team in ensuring the whole process runs smoothly behind the scenes allowing the other team members to concentrate on the Building Component. Jesse has handpicked some of the best carpenters that Bundaberg has to offer, we now employee 7 Full-time Carpenters, 3 Full-Time Apprentice Carpenters and a Full-time Machinery Operator all of whom are on the tools day in day out. By having our very own employed carpenters it helps maintain the high quality that you should come to expect when building a new home, the carpenters really do set the standards for the rest of the contractors who follow, and by paying them a wage, they aren’t in a rush to get in and get out, they are all about the quality of the build. So when considering building, consider who will be on-site and who will be employing locals because at JRZ we are very proud of the fact that we employee so many high calibre locals. Chuck spends most of his time in the office keeping a watchful eye on all of the staff and any left over lunch they may have, his main role is to snore and make funny noises whilst sleeping all day long, of which he seems to handle quite well. When awake he is quite demanding in wanting attention via the way of patting and throwing his ball. Ultimately though, Chuck is the fun loving dog that just about everyone comes to love!